We are looking for a DevOps Software Engineer, that will be part of the team developing SCADAguardian. As part of the team, you will have the opportunity to develop ground-breaking technology for Industrial Cybersecurity -- where Deep Packet Inspection and Artificial Intelligence are used together with Agile Methodologies to build our groundbreaking technology. As a DevOps Software engineer, you will be able to actively contribute to all the aspects of the product, from the lower level C++ DPI components to the higher level AngularJS web application. But your focus will be to help with the DevOps -- the build system, deployment, automation. Vagrant, Docker, Ansible/Chef/Puppet, scripting -- all these should be familiar to you. Experience with Agile Methodologies, automated testing and networking environment are a requirement for this position. 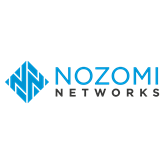 Want to get notified about new jobs at Nozomi Networks?